Working closely with Standard Communities and Chee Salette Architecture, JETT Landscape Architecture + Design designed and renovated landscapes throughout the 854-unit,32 acre affordable apartment conversion project. Announced at the ULI Fall Meeting, the project was a Finalist for the 2018 Jack Kemp Excellence in Affordable Housing Awards. Our designs converted existing high-water use artificial lakes into rain gardens and play areas and included a full package of upgraded site amenities, including a promenade, pool areas, outdoor daycare facilities and low water use planting and irrigation. 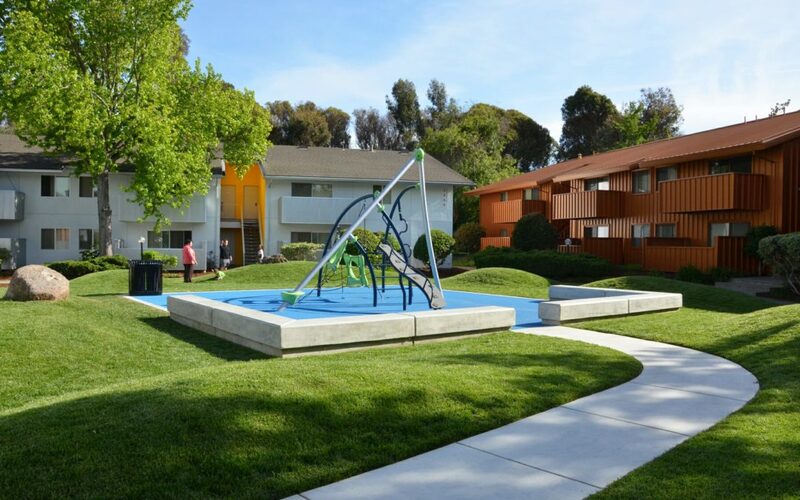 At the time of completion, the project was the largest market-rate-to affordable housing conversion in California.